Fayetteville Street is another world this weekend. Parked at Moore Square, we follow the sound of drums to where prismatic lights dazzle atop silver oak sculptures. SPARKCon. Wonderland. Come with me on this Virtual Tour of SPARKCon. If you’ve never heard of it, you can experience its magic vicariously. 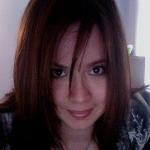 If you were there, read anyways–perhaps our paths crossed! A group of dancers in traditional Indian garb dances to ethnic music on the main stage, and I feel my steps shift into beat. And because one rule of SPARKCon is you never know who you’ll meet, within the first minute being there we stumble upon a couple of friends. We wander the streets, exploring together. 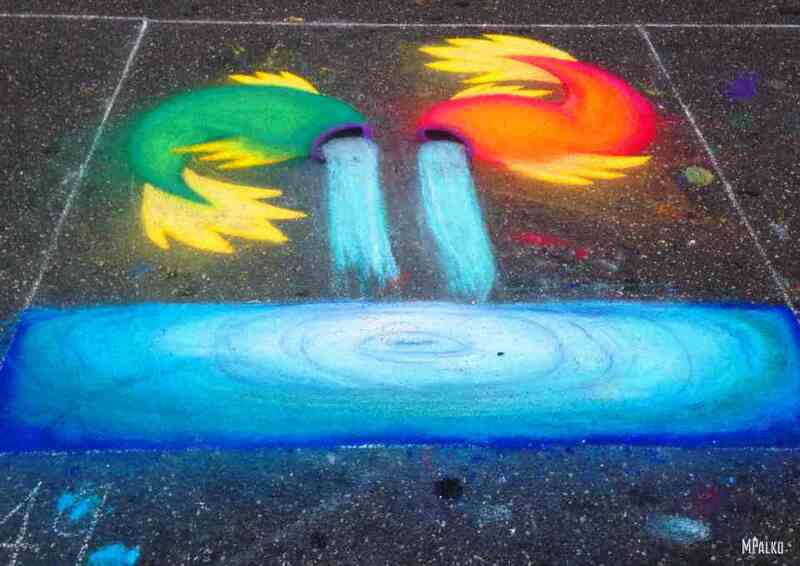 Fayetteville Street is a rainbow-spattered canvas–painted with fire, poetry, chalk, music. 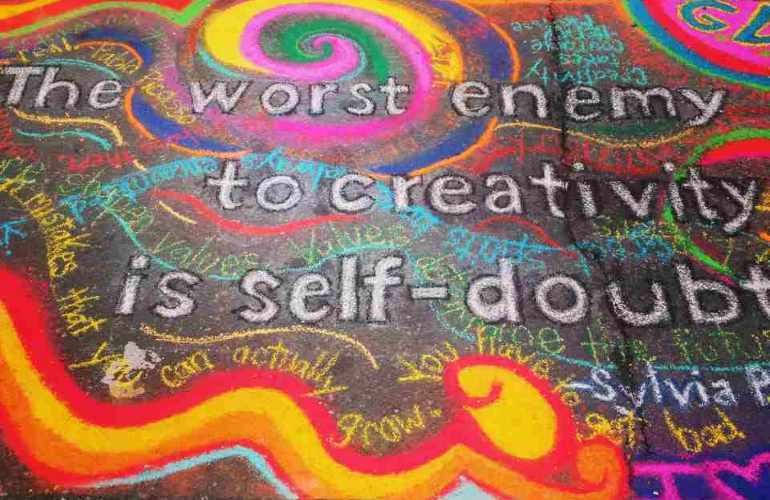 Every artistic community in Raleigh shows up to add their color to the mix. Clowns and fire dancers whirl and flow against the historic downtown backdrop, while street artists with painted faces doodle spaceships in front of Boylan Pearce. I laugh and point, remembering an appletini I’d had at The Goat once, making a connection with someone I’ll never meet. My companion writes a secret sign and places it without letting us see. I mark the location of my first Candid Slice meeting with my Dad, way down Glenwood Avenue. Another community art project waits further down, where people are invited to decorate old CDs with sharpies. Yet another, a wall of hearts decorated with “What I Love About Raleigh,” a dedication of passion for our city. Girls in flaming pink, bedazzled unitards perform gymnastic feats to the rhythm of circusSPARK’s drum circle. I smile, because I know later there will be fire involved. “Oh, are you with Candid Slice?” she asks, smiling. Seriously — SPARKCon brings the art community together! You never know who you’ll meet. My phone buzzes — more friends have arrived, looking for us. We join together for swearSPARK, where we politely debate the worst of 64 curse words in a pretty fancy bar. 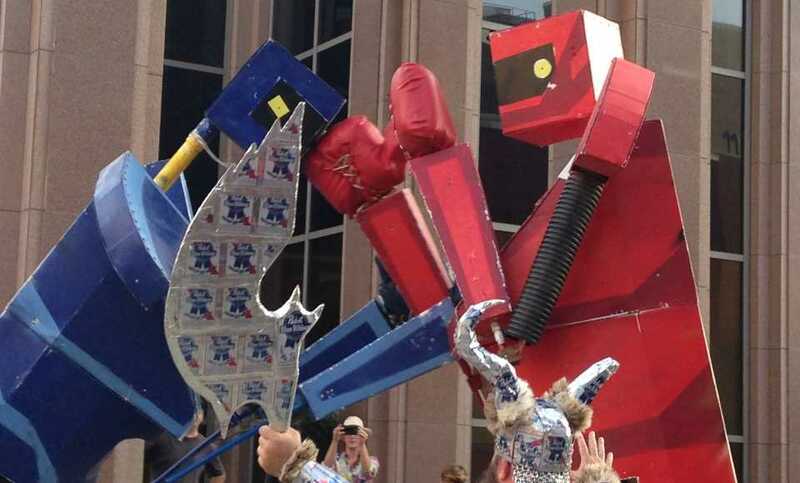 Meanwhile, a Viking wearing armor crafted entirely of PBR beer controlled the arena. We pose for a picture, wearing hipster glasses from a previous booth, and tweet. Then Cliff Bleszinski of NC’s own Epic Games retweets it, and the fangirl in me lives the dream. In a moment of spontaneous glory, we call three Raleigh Rickshaws and have a personal parade around downtown Raleigh, visiting the Capitol, the Legislative Building, and cruising past Moore Square on a busy road, high-fiving a crowd of people riding the Drunk Trolley as we go. The drivers know exactly where to go, and we wave at the silly people on sidewalks too foolish to get their own Rickshaw Parade. 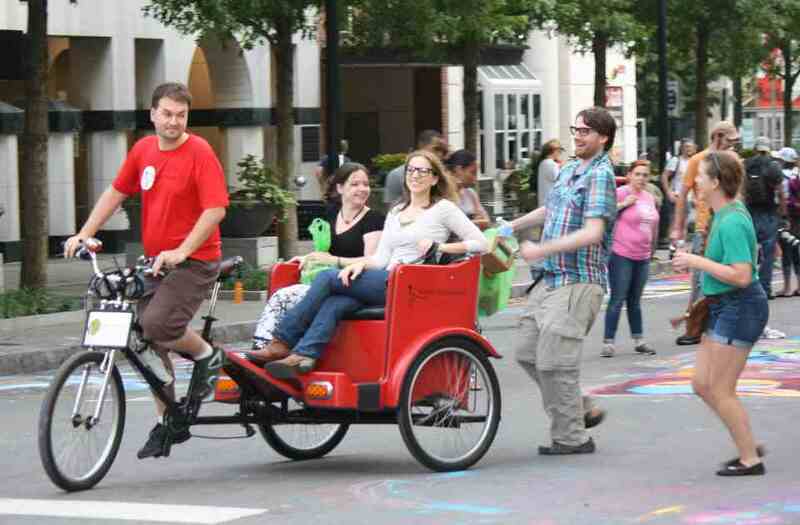 We ride through the SPARKCon crowd like royalty, as our friends chase us and people stare. Local businesses and food trucks are busy tonight, and at twilight we sit on the sidewalk and eat some Dump Pho King dumplings. Still hungry, we visit a dessert-only bar in Raleigh. Bittersweet serves up some chocolate-espresso mousse, and my Facebook and Instagram followers comment with jealousy. At last, the stars come out, the air cools, and it’s time for the fire dancing. 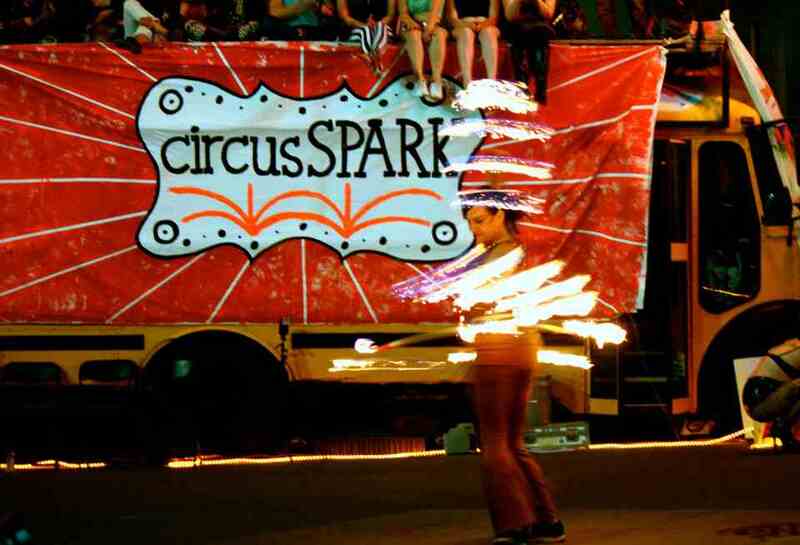 A crowd circles around circusSPARK’s fire-breathing school bus, while leather-clad dancers undulate within flaming hula-hoops, spin glowing torches, and ride lit-up bicycles. Thank you, the MC says, You could be home watching Netflix. But instead you’re watching live performances. Live art. We all cheer. For this moment, we’re a community. They crank up the 70’s music, and we all rush the stage and dance together. Silly, jumping, child-like dancing — and no one ashamed — beneath a cool September moon. RELATED: Light + Time Tower: A New Perspective, A Love Story. That was SPARKCon–a million stories just like this all coming together in the streets of downtown Raleigh. If you were there, it was great to see you! If you weren’t — well, I’ll look for you next year.